Provides design recommendations based on long-term IT organization strategy. Architect, design and build a Big-Data Framework that provides proper abstractions for common building blocks of big data analytics systems. Company Name: Knowledgent Group Inc. Candidates will enhance their platform to add additional functionality as well as write components to ingest transform and export data. You will build systems that every iPhone, iPad and Mac have interacted with. Apple’s engineering and operations teams will utilize your systems to build the next insanely great product. Do something amazing and be a critical part of a company that everyone recognizes and loves. Delivering insightful data to clients, partners and internal users in various ways by implementing robust, scalable data delivery applications and APIs. Facilitates data collection from a variety of sources, getting it in the right formats, assuring that it adheres to data quality standards, and assuring that downstream users can get that data quickly and with a common standard interface. Ensures that data streams/pipelines are scalable, repeatable, and secure, and can serve multiple users within the Institute. Develops as a core member of an Agile team, using Agile tools and methodology. Work closely with other team members including Application Developers, Database Developers, and Data Scientists. Responsible for creating the infrastructure that provides insight from raw data and handles diverse sources of data seamlessly. Enables big data and batch/real-time analytical solutions that leverage emerging technologies. Additional responsibilities include developing prototypes and proof of concepts for the selected solutions, and implementing complex big data projects with a focus on collecting, parsing, and managing large sets of data using multiple platforms to allow for Research and Data Science initiatives. Translates business requirements into modern data pipeline solutions. Create centralized documents and diagrams of all solutions. You’ll be a key member in the application design and development of the distributed compute cluster, web server and database setup, and accessory scripts and processes. Build distributed, scalable, and reliable data pipelines that ingest and process data at scale and in real-time. Collaborate with other teams to design and develop and deploy data tools that support both operations and product use cases. Own product features from the development phase through to production deployment. Solid background on J2EE technologies including Web-services development and Enterprise Application Integration space. Implement product features and provide engineering support for customer applications in specific verticals like health and life science (HLS) and finance on Databricks platform. Have a dedicated team to work closely with sales, customer success, and other ML teams to streamline our effort on vertical markets. Utilizing the latest technologies available, designing and building data solutions to meet business needs. Be an active contributor to not only your individual team, but to the RBC development community. Constantly seek out better ways to do things, new tools, new technologies, new processes. Work directly with Product Management and Design to plan, develop and iterate on product prototypes. Work both as an individual and in a team to implement the full stack of product features and highly available and scalable services to support end-to-end ML/AI pipelines from customers. Responsible for analysis, design, coding and testing of new applications or enhancements to existing applications using Java-based & C++ technologies. Must be able to apply SDLC concept and have a proven track record of delivering solid, robust applications. Company Name: Advanced Resources Group Inc.
1) Requirements gathering and analysis; architect solution with system design, system engineering and appropriate process flow and implement with Agile methodology. 2) Data acquisition, data ETL, data cleansing, data mining, data integration with data quality controls, process management and statistical analyses techniques. Develop and design application using Functional programming language like Scala, Spark. Work with overall analytics team and quant desk to write analytics code, services and components in Java, Apache Spark. •Own and resolve any opportunities or issues related to the operations of the platform across multiple tenants. •Create detailed designs and POCs to enable new workloads and technical capabilities on the Platform. Work with the platform and infrastructure engineers to implement these capabilities in production. Participates in all facets of project development including requirements development, implantation of analytics, testing, and deployment. You'll be ingesting and working with huge data sets using Spark and EMR (from AWS), storing that data in S3 and RedShift, solving challenging engineering problems around data pipelines. Strong knowledge base in Java, J2EE, Microservice, Kafka, Hadoop, Spark, Ranger, Knox and big data technologies. Mentoring the Jr. Developers and achieve all the technology goals. Working with various cross -functional teams to deliver robust technology solutions. Translate business, and functional requirements into documented technical specifications. Utilize development skills to build (code) and unit test new systems functionality per technical specifications, with deliverables to include code builds and documented unit test results. Develop application support documentation as required by the application support teams for acceptance of systems changes into production. Work on tasks assigned by Technical Architects related to a proof-of-concept in the area of big data. Many activities will involve implementation of a series of use cases for a given technology stack which includes: HDInsight, Azure Event Hub (or Kafka), Azure Data Factory (or Talend), HBASE, Hive, Pig, Sqoop and Flume. Component Software Design & Development. Ensuring excellent practices are utilized in delivering Big Data Management and Integration Solutions. Ensuring design decisions can be actioned by the development team. Participating in agile development projects. Acting as a role model for all best practices, ensuring consistency across entire team. Mentoring technical development team on optimal utilization of Big Data solutions and Apache Open Source Software. Helping build a great team. Collaborates with application development teams to understand application development requirements and use cases. Tracks, studies and understands application development platform technology trends. -Participate in Agile development on a large Hadoop-based data platform as a member of a distributed team. -Code programs to load data from diverse data sources into Hive structures using SQOOP and other tools. -Translate complex functional and technical requirements into detailed design. • Performing code reviews and pair programming. Participate in design and development of Big Data analytical applications from product vision to implementation. Design, support and continuous enhancement of project code base, continuous integration pipeline, etc. Consults with internal business groups to provide appropriate application software development services and technical support. Collaborate with a number core Spark contributors to co-design and co-develop enhancements to Spark in areas ranging from Performance to HA. This includes connecting to various datastores or real-time streams and figuring out ways to serverize Spark transforms. Able to design data solutions based on varying degrees of detail. Must be flexible and agile to achieve the expected results. Design & Build consistent data solutions in a fast paced environment. Educate, leverage and enhance the Data Lake to support Advanced Analytics & Innovation. Experience in REST/services and Big Data technologies such as Oozie, Sqoop, Amazon EMR distribution, Python, Pig, Impala, Presto and S3. As a member of the Data Processing Platform team, you will help redefine how compute and data processing in done for massively large data sets in Uber. You will focus on delivering production systems that will be the bedrock of the most demanding workloads in Uber, with a focus on engineering for self-healing and reduced operational complexity which works as a turnkey solution for many diverse workloads. Organizes and participates in walkthrough reviews of all technical specifications, programs and unit test plans. Work on building a reliable and scalable Spark as a Service offering. 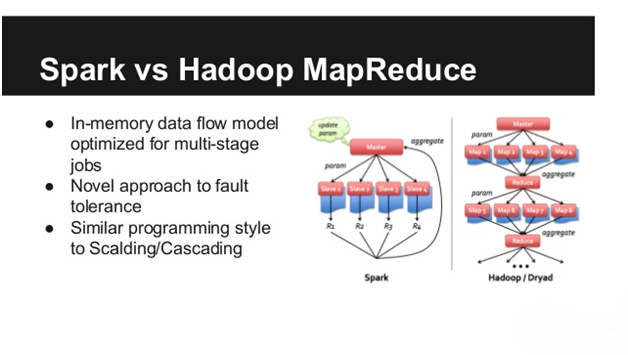 Solve challenging problems at the core execution layer of the Spark engine. Work with customers to understand their needs on emerging use cases like stream processing and machine learning and build them into our product. Hands on experience designing large-scale data warehouses using Star/Snowflake Schema. Experience in data acquisition techniques for easy information retrieval and reporting, and archival strategies. 1. This senior engineer should be comfortable and informed of the Hadoop ecosystem with a minimum of 5 years experience in Big Data implementations. experience in Scala / Java required. Responsible for designing and implementing a project’s technical architecture. Define the structure of a system, its interfaces, and the principles that guide its organization, software design and implementation. Scope of the Solution Architect’s role is bounded by the business issue at hand. Participate with team of technical staff and business managers or practitioners in the business unit to determine systems requirements and functionalities needed in large/complex development project. Company Name: JPMorgan Chase & Co. Build and implement front-end web applications and back-end services that integrate with other products. The right candidate will assist in developing the functional testing of limit controls and other key E-Trading controls. This is an important deliverable to meet regulatory an internal audit requirements for second line of defense of our trading systems. Candidates with experience in open source projects like Apache Spark, Storm, Flink, Kafka, Hadoop, etc. to do an internship at the new Spark Technology Center in San Francisco, CA. • Knowledge of Object Oriented Design, Design Patterns, and Algorithms. · Lead the design and development of highly scalable and optimized data models, by utilizing modeling software to document and maintain versions to support Data Marts, Cubes, Data Warehouse, and Operational Data Stores (ODS). · Establish data standards in terms of nomenclature, storage, design and deployments. Collaborates with team members to recommend new software development technologies and development processes. Building scalable and distributed back-ends for Max2 applications. Motivated engineers who love to design, code, and implement creative new features and enhancements to Orchard's marketplace lending services. Hands on manager: Technical hands-on manager with a passion for building strong teams. Highly productive: Ability to be highly productive with minimal oversight on a day-to-day basis. This role is intended for somebody who is passionate about data and developing solutions to generate data insights. 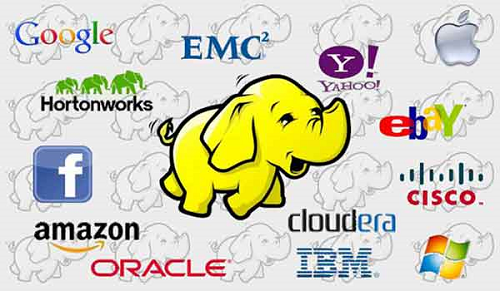 ELT/ETL development in Hadoop experience including working with custom code or ETL toolsets. Experience designing HBase databases and tables. Putting In right practices for SDLC including code reviews, pair programming etc. Working closely with plan teams and business aligned technology teams. Translate complex functional and technical requirements into detailed designs. • T&E analysis across departments using Cognos data and including adjustments from General ledger. • Provide financial analysis and comments to department managers to better forecast upcoming activity. • Develop assessment models to better understand and present forecast information. Develop backend engine to ingest, process, evaluate large amounts of data. Build and architect highly scalable engine that can many billions of events. Assist the architect in identifying and defining technology implementation for Data Access Layer. Strong in Java performance tuning, debugging & Profiling Tools. 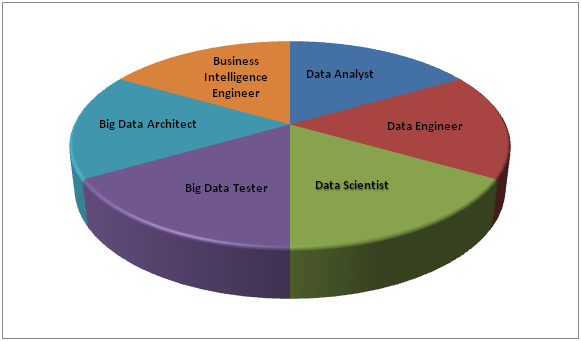 Big Data Architect is responsible for creating the Design, Development and Implementation of Big Data Platform for acquiring data from Mechanical devices. Responsibilities include analysis, design, development, implementation and support of the application(s) to benefit businesses. Talking at public events about technical topics, with a focus on Apache Cassandra. Implement complex data projects with a focus on collecting, parsing, analyzing and visualizing large sets of data to turn information into insights across multiple platforms. Build fault tolerant, self-healing, adaptive and highly accurate ETL platforms. ETL tool such as Informatica. Self-starter who gets results with minimal support and direction in a fast-paced environment. Takes initiative; challenges the status quo to drive change. Learns quickly; takes smart risks to experiment and learn. Works well with others; builds trust and maintains credibility. You'll be working with the latest scripting & big data languages/technologies! Your day to day programming duties will play a huge role in our overall company success, your work will be helping keep enterprise companies around the globe secure! Specification, Design, Implementation of Data Center Developments. Development and Implementation of Product Tests and Product Test Procedures. Assist Documentation staff in the development of product documentation. Experienced and full understanding with large scale Hadoop environments build and support including design, capacity planning, cluster set up, performance tuning and monitoring. 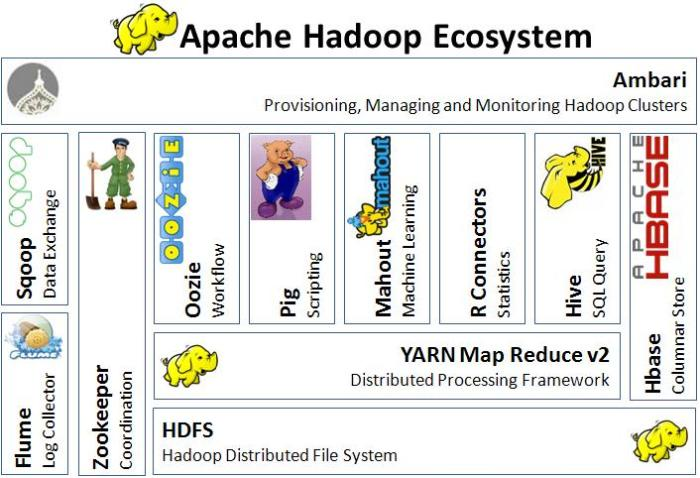 Provide Hadoop Architecture Consulting to Customer in support of solution design activities. Company Name: Pantar Solutions, Inc. This senior engineer should be comfortable and informed of the Hadoop ecosystem with 5 years’ experience in Big Data, minimum. ∙ SME (Subject Matter Expert) for Big Data Platform(s). Chameleon is looking for a highly skilled engineer who has experience working with big data technologies to process a high number of data points. - Own-pieces of engineering challenges. The candidate will be responsible for application development supporting the Client Service Workspace program, which is an Investment Bank-wide strategic initiative to improve the operational and customer service capabilities of the firm. · Work on building a reliable and scalable Spark as a Service offering. · Solve challenging problems at the core execution layer of the Spark engine. Be the expert commentator on major industry shifts in RDBMS and big data, particularly around Hadoop, HBase, Spark and Splice Machine. Build programs to grow our Splice Machine developer community, planning and participating in webcasts, hackathons, developer events and other technical outreach activities. Build robust and scalable data infrastructure (both offline and real-time) to support needs from different teams around the company. Manage the data infrastructure and do necessary capacity planning. Responsible for Technical Design, Development and Implementation of Big Data solutions in Insurance/Healthcare sector. Company Name: Intercontinental Exchange, Inc.
• Data-driven individuals who have built innovative data solutions and have the curiosity to try new technologies and explore new paradigms. Global disruptive, big data firm headquartered in NYC is seeking a seasoned C++ Engineer as they continue to expand their flagship product that manages billions of data points every day. Defining the architecture of the new development framework.